in B2B food distribution is an equally large opportunity. The B2B food industry is facing a new staging point of digitalization and more consumer-oriented approach. B2B customers expect to get a smooth user experience, personalization, and support at each stage of the customer journey. Manufacturers and distributors should seriously review their strategy and think about more modern ways to attract buyers and enter new markets. In this article, we dwell upon 6 major food industry trends that will help you to satisfy B2B buyer needs. 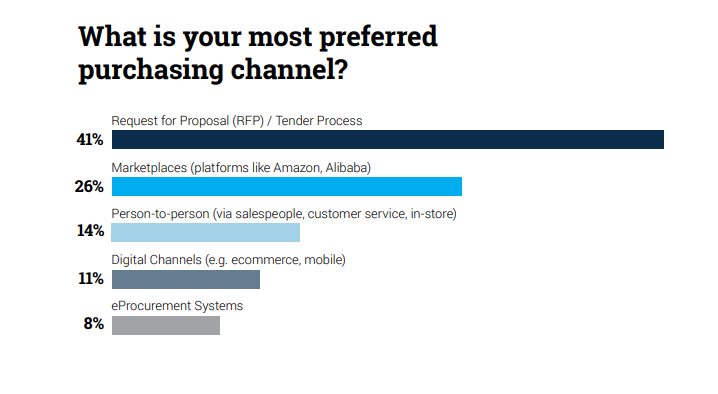 According to the Next Generation of B2B Purchases Report, over one-quarter of B2B buyers identify marketplaces as their most preferred purchasing channel. 87% of respondents with 97% millennials among them buy through marketplaces more than through other channels. 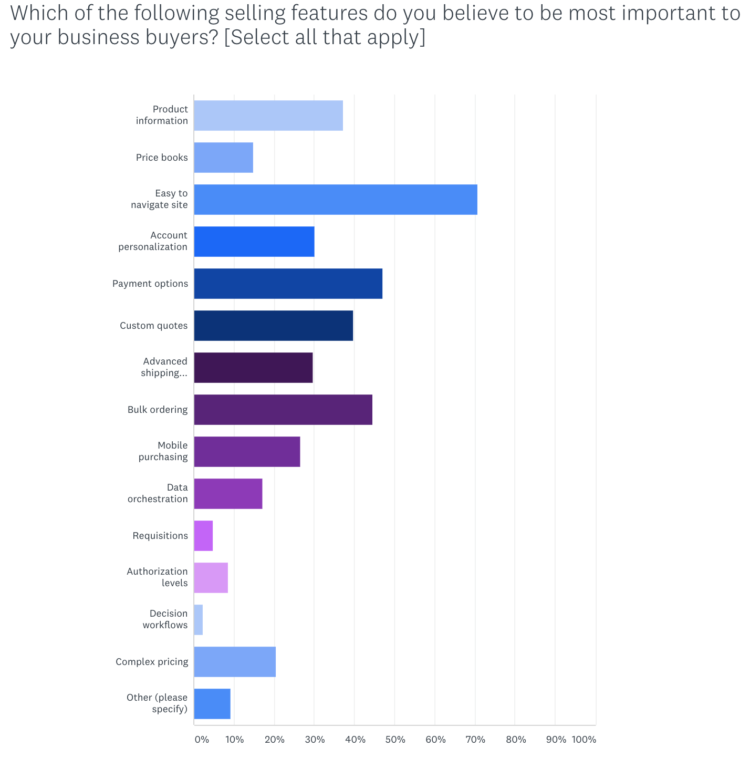 Let's get back to the statistics from the B2B report and outline the advantages of using online marketplace for B2B buyers. As the “typical” B2B buyer changes, a business’ sales process should too. One of the major differences of B2B purchases from B2C ones, is that first ones are rarely spontaneous and impulsive. B2B purchase decisions involve a long research before the final decision. Moreover, this research is made by multiple people with different job roles. Your task is to adjust your website or app content to both users and decision makers. Users are mostly concerned about the product or service specifications, advantages, details, and characteristics. Decision makers are interested in price options, contract details, guarantee, etc. Here are some statistics for your information. 50% of B2B queries today are made on smartphones. BCG expects that figure to grow to 70% by 2020. Mobile drives, or influences, an average of over 40% of revenue in leading B2B organizations. 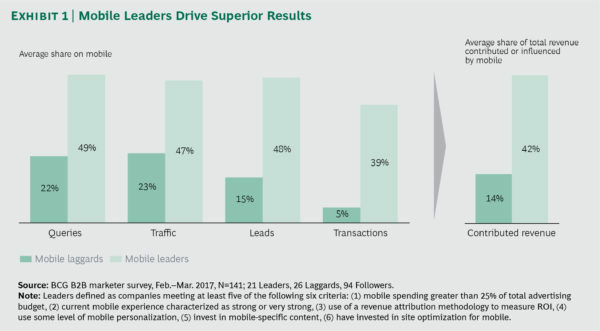 BCG’s report also says that those B2B sellers that have adopted mobile, see a significant growth of queries, traffic, leads, and transactions compared to those who lag behind. Amazing motivation to catch up! 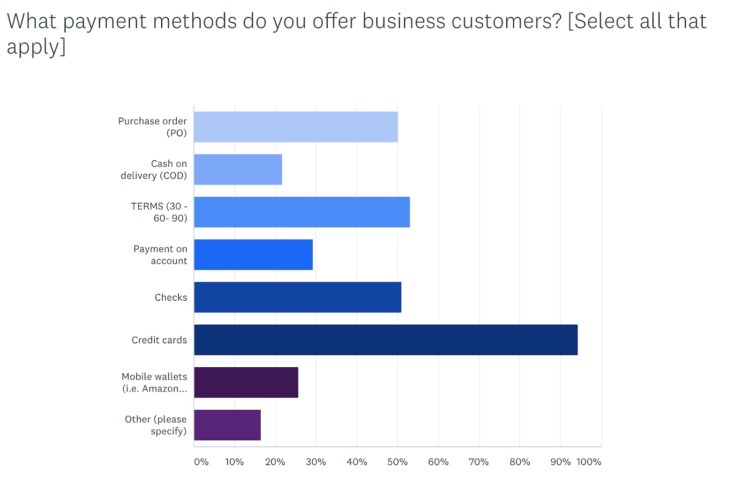 Big Commerce conducted a survey of more than 500 international merchants, where they asked about the preferable payment methods. According to this report, credit cards still remain the most popular for the online channels, when сhecks, terms, and purchase orders are vital for B2B buyers. In addition, Amazon Pay and Apple Pay (26%) are escalating. Detailed product information not only helps to get more organic traffic and search engine visibility, but also educates your users, answers their questions, and removes obstacles in the decision-making process. If you include clear, specific, and realistic details in the product or service description, your users will faster find out whether what you offer aligns with their business needs. B2B merchants should make every effort to catch up with the latest trends and B2B customer demands. Otherwise, they risk to be beaten by the competition. By making changes and optimizing the online experience of your users, you will get more loyal customers and regular revenue.